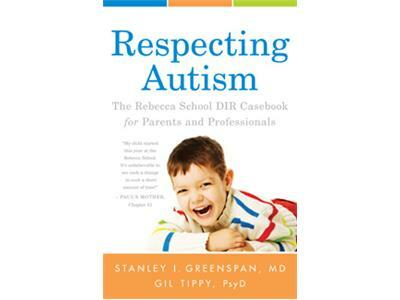 Dr. Tippy and Floortime™ creator Dr Stanley Greenspan collaborated on Respecting Autism. In 2005, Dr. Greenspan became a consultant to The Rebecca School and his work with students is featured throughout the book. The school institutionalizes Dr. Greenspan’s “Floortime™” methods of teaching and its educators work to extend students’ circles of communication using the Developmental, Individual Difference, Relationship-based (DIR®) model also pioneered by Dr. Greenspan. Autism Spectrum Disorders are not issues of memory or of extinguishable behaviors, but rather difficulties with relating and communicating. Throughout Respecting Autism everyday real life students and their families generously open up their homes and personal histories to Dr. Tippy who then conveys to readers these student’s triumphs and frustrations, joys and fears as each child in her or his own way strives to experience the freedom of the world of abstraction.